Here is a brief selection of favorite, new and hard-to-find books, prepared for your journey. For your convenience, you may call (800) 342-2164 to order these books directly from Longitude, a specialty mailorder book service. 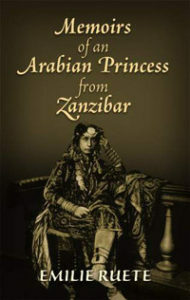 To order online, and to get the latest, most comprehensive selection of books for your safari, go directly to reading.longitudebooks.com/XA2276. This lively history of the Victorian search for the source of the Nile includes the extraordinary tales of Burton and Speke, not to mention the famous meeting of Livingstone and Stanley. 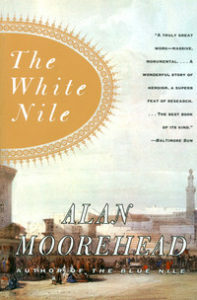 The narrative includes vivid descriptions of Zanzibar, the last days of Khartoum and the building of the Suez Canal. 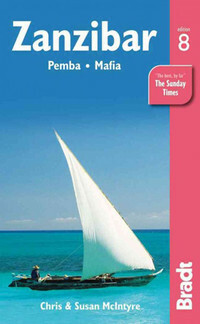 A personal, detailed guide to Zanzibar, its history, culture, attractions and natural history. With color photographs and maps. 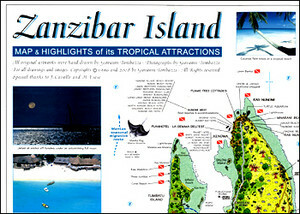 This colorful traveler’s map to Zanzibar at a scale of 1:100,000 shows Stone Town on the reverse.